While Mrs. Phactor and F1 are 2 of the estimated 250,000 women marchers in downtown Chicago. Clearly many of us feel the need to vent and everyone does it differently. TPP is cooking paella for our longtime dinner club tonight. It is a vegetarian paella, and TPP remains uncertain why someone thought this was a good idea, but hey. At any rate, the recipe calls for 1 tsp of saffron. Not sure if its presence will be detected among all the roasted vegetable flavors. The way this works is that everyone brings part of the menus put together by the hosts and co-hosts. TPP knew he would be making the paella because it was obviously the most involved recipe, and if any one thing characterizes our dinner group, it's the avoidance of the perceived most difficult recipe. Everyone likes eating; cooking not so much. You keep track of your costs, then they are added up divided by the number attending, and you pay the average, some paying, some getting money back. 0.007 oz. of saffron cost $3. 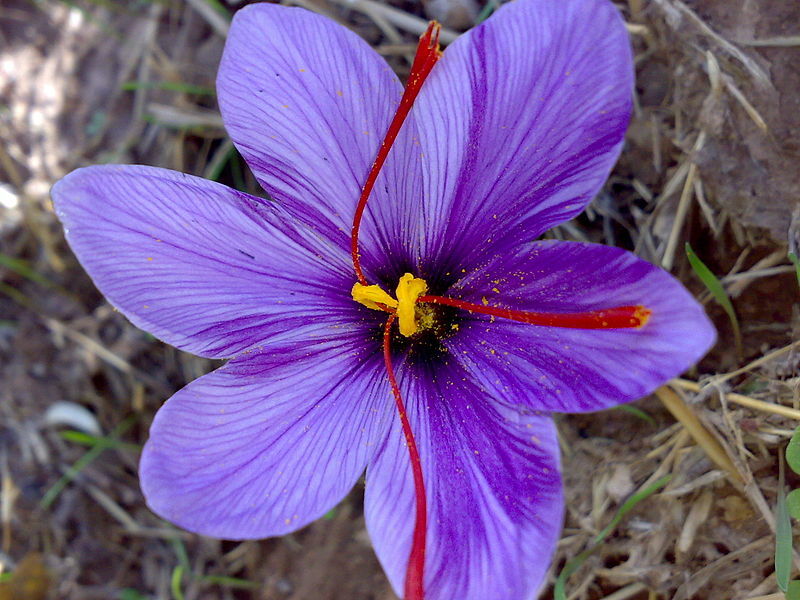 A small amount of math will tell you that the saffron costs $6857 per pound. Wonder why that price wasn't displayed. Saffron is the orange-red stigma of a particular crocus, and you only get one 3-parted stigma per flower, and if memory serves it takes 220,000 stigmas to make a pound of saffron. That's a lot of crocus friends. And a lot of hand labor to pick them. No wonder this is the most expensive of spices. Cheap crap saffron may also include the three yellow stamens, so look carefully. Hope there isn't too much complaining about the price of this paella! The recipe only called for half a pound. Yesterday I posted at botanistinthekitchen.blog about saffron and the new administration, too. I hadn't realized you beat me to the punch! Paella sounds amazing. If it weren't so expensive, I'd love to claim saffron as a totem spice.